Enjoy more than 300 deals during the Shop Guam e-Festival! The biggest tax-free shopping festival in the western pacific is back and it’s bigger than ever! Here’s the scoop on the sixth annual Shop Guam e-Festival. Enjoy 80 days of fantastic shopping. The Shop Guam e-Festival opened on November 10th and will run all the way through the holidays (Thanksgiving, Christmas, New Year, and Valentine’s Day). The festival will end on February 28, 2018. There are more than 300 discounts and deals to snag. This year’s Shop Guam e-Festival is the biggest ever with super deals like 50% off spa treatments at Chandan Spa, 30% off purchases of $70 or more at GAP, a free stack of IHOP pancakes when you purchase an entrée, and much more! Enjoy discounts and deals from over 180 retail shops, restaurants, tour operators, entertainment, activities, services, and more. Everything you need is in a convenient mobile app. No coupons or brochures—the award-winning Shop Guam e-Festival app is all you need to benefit from hundreds of discounts and deals. Browse all of the offers or search by category on your mobile device and stay informed of special Shop Guam e-Festival events. The Shop Guam app also includes useful information such as business hours and location. 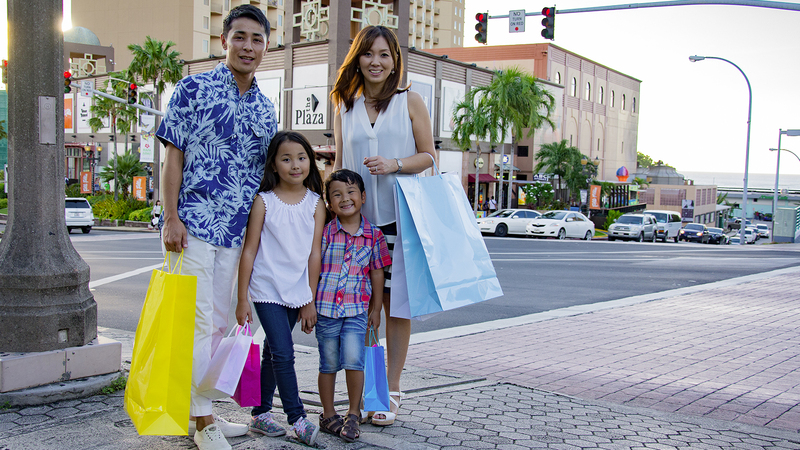 The app can even notify you when there’s a Shop Guam e-Festival offer nearby. The free Shop Guam app is available for both iOS and Android devices. View some of the top offers on TripAdvisor. Visit TripAdvisor, the world’s more trusted travel review site, to learn more about the Shop Guam e-Festival and take a look at some of the festival’s top offers and merchants. You could win up to $500 in Shop Guam prizes. Enter the Shop Guam e-Festival Sweepstakes for a chance to win up to $500 in Shop Guam e-Festival prizes! Simply enter the sweepstakes on the Shop Guam app – No purchase is necessary.